The larger the number of lines in the syndicate the higher your chances of winning. Each syndicate has a set number of shares. So, for instance, if you select a syndicate with 100 shares and then purchase 1 share and win a €100m jackpot you will receive €1m. 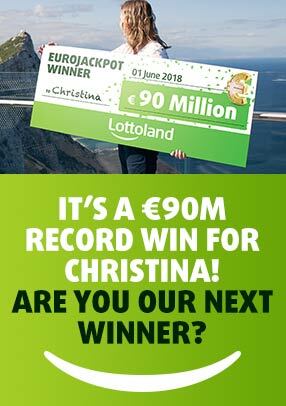 If you purchased 2 shares you would win €2m, if you purchased 3 it would be €3m and so on. The price depends on the Syndicate you choose to play and the amount of shares you select. For example - If the base price of a share for a syndicate is €2 you will pay €2 for one share. You’ll pay €4 for 2 shares, €6 for 3 shares and so on.